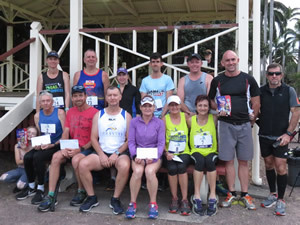 Over fifty Mackay Road Runners enjoyed perfect running conditions for the running of the annual Forsyth Accounting Junior five kilometre and Open ten kilometre Club Championship races from the beautiful Queens Park precincts. Long term sponsor, Forsyth Accounting has been a generous and integral part of the event for several years, with Senior Partner, David Forsyth also taking part in the 5km event. David was a Member of the Club for several years and still competes in local racing when the opportunity arises. Forsyths Partner, Shawn Claydon has previously been a multiple winner of this event, but was unable to participate this year. Forsyth’s staff were also keen to attend, but the more important social occasion of the Pioneer Valley Show just topped priority this year, although we understand this will be noted at their next performance reviews! Local runner and United States athletics and academic scholarship student, Liam Mumford easily breezed over the ten kilometre course, taking the win from a high quality field. Carl Pinkstone claimed second and maximum Club Championship points ahead of fast finishing Leon Ryan and Andy List. Several male runners followed in quick succession before the first female, Ainslie Heinke scored gold in a sensational time ahead of Kylie Harbour and Jose Short. The cool but humid conditions guaranteed excellent times as was seen across the 5km and 10km races. Awesome performances also came from non-competitive father and daughter duo, Charlie Bone and Sarah Jensen who are in their final preparations for their first Marathon at the Gold Coast in two weeks. First female in the 5km, Ashlee Scott made a welcome return to running after a serious injury, clocking a sizzling time despite the lack of training. Her second overall placing was excellent just behind the first elite male runner. Ross Connor continued his fine form, placing second for the boys ahead of a multitude of inform runners including Bill Morgan, Teegan Philpott, Lauren Betts, Andrew Short, Glynis Forse, Jo Hughes, Colin Hardy, Kim Saron, Leanne Connor and Sandra Henderson. 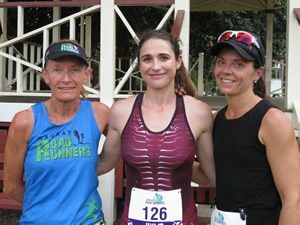 Best wishes to veteran Mackay Road Runners marathon runner, Koumala’s Brenda Windsor who will be commencing seven marathons in seven days in seven states on 24th June in a bid to raise funds and awareness of the Bravehearts Foundation. Brenda has been avidly raising funds and training for the big event which she confirms as the biggest challenge of her running career. Brenda’s first marathon will start in Perth, where she will join thirteen other runners who will be putting their bodies on the line for charity. 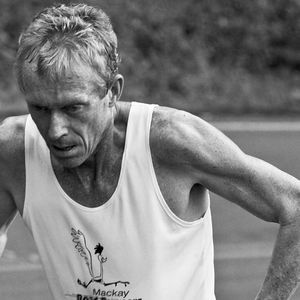 In additional to the bounty of successful and talented local running talent, BMA Mackay Marina Run Race Director, Sandy Strong, scored a sensational win in his age category and fifth overall in the Mission Beach Half Marathon over the weekend. Local racing continues this weekend at The Grove with the Mackay Road Runners coveted 10km Handicap Trophy on offer to the first male or female runner who crosses the finish line first based on their handicap start. Last year’s winner, junior running talent, Hunter McGovern will pass the baton on to the 2018 winner this Sunday afternoon at the post-race celebrations and presentation in The Grove lounge/dining area. Members are once again reminded to wear their timing chips and race numbers which will assist in efficient and speedy results collation and distribution. Runners are also reminded that registration for racing will close ten minutes prior to gun time. Those who have ordered club polos and singlets are requested to make payment by this Sunday directly to Jo Skinner so that she can now place an order. Many thanks once again to race day sponsor, Forsyth Accounting, who donated cash prizes to ten lucky random draw recipients. The writer was ecstatic to be a lucky winner and extremely excited to take money off David and Shawn! A huge thankyou to race day volunteers, Craig McGahey, Peter Wright, Tim Caddy, Lindsey Wiggins, Jo Skinner, Jo Hughes, Andrew Short and Tim Magoffin…..their assistance as always is much appreciated and highly regarded…..THANK YOU!